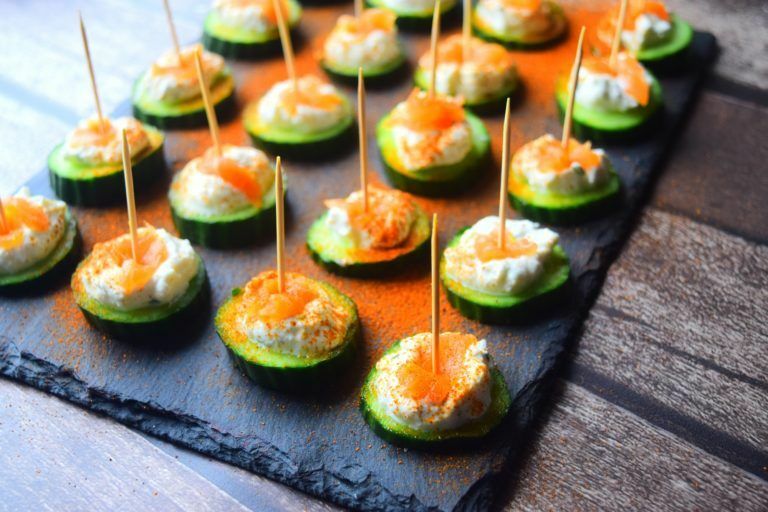 If you’re looking for a simple stress free appetizer for a get together with friends then look no further. 1.Slice the cucumber into 20 slices. 2.Add a teaspoon of cottage cheese on top of each slice of cucumber then a small slice of smoked salmon. 3.Finish off with a sprinkle of paprika then enjoy!